Interestingly, coming at a time to set the economy on higher pedestal is Mrs. Amina J. Mohammed, Minister designate of the Federal Republic of Nigeria, a woman of substance of sterling records, intellectual persona, astute phenomenon whose indelible credibility in developmental strategy is a plus to more investment on the continent. 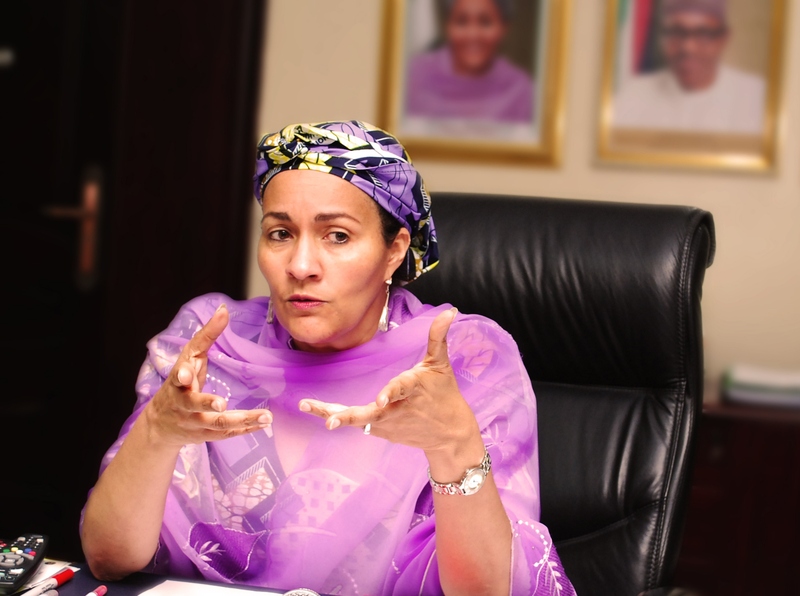 Mrs. Amina J. Mohammed was a key player in the post-2015 development process, serving as the Special Adviser to UN Secretary-General Ban Ki-Moon on post-2015 development planning. In this role, she acted as the link between the Secretary-General, his High Level Panel of Eminent Persons (HLP), and the General Assembly’s Open Working Group (OWG), among other stakeholders. Mrs. Mohammed has been working in the field of development for more than 30 years, both in the public sector and the private sector. Prior to her current appointment, she was the CEO and founder of the think tank Center for Development Policy Solutions. Previously, she worked as senior adviser to the President of Nigeria on Millennium Development Goals for six years. In this position, she was in charge of designing and developing government projects to reduce poverty around the country. Between 2002 and 2005, she worked in the United Nations Millennium Project as a coordinator of the Task Force on Gender and Education. In 1991, Ms. Mohammed founded Afri-Projects Consortium, a multidisciplinary firm of Engineers and Quantity Surveyors, and from 1991 to 2001 she was its Executive Director. Between 1981 and 1991, she worked with Archcon Nigeria in association with Norman and Dawbarn United Kingdom. In 2005, Mrs. Mohammed Coordinated Debt Relief Funds in excess of US$ 1 Billion per Annum towards Achievement Of MDGs In Nigeria. She also designed Virtual Poverty Funds and coordinated the development Of A Fully Participatory National Action Plan In the areas of HIV/AIDS, Macroeconomic Strategies, etc. She has also developed Strategies to Empower Community Participation At various Government Levels. Senator Binta Masi Garba is a Nigerian seasoned business woman, administrator, philanthropist, humanitarian and politician with training in Public Financial Management. She has over 16 years post qualification experience in various fields. 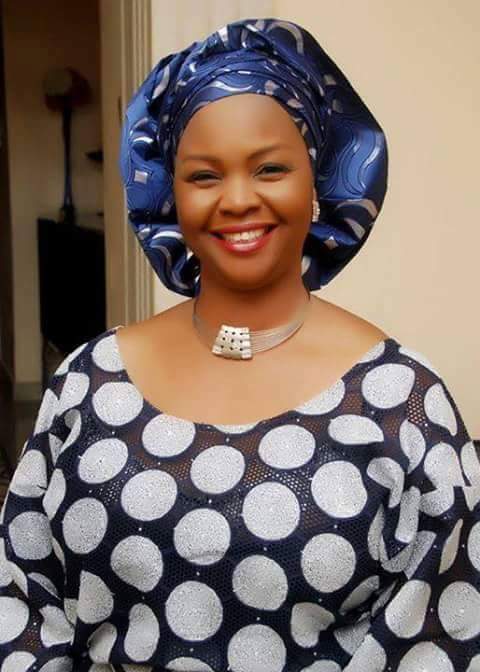 She is a three term member of the Nigeria House of representatives (2007-2011), representing Michika/Madagali Federal Constituency of Adamawa State under the platform of the Peoples Democratic Party (PDP). The first and second terms, (1999-2007), were under the All Nigerian Peoples Party (ANPP) representing Kaduna South Federal Constituency, Kaduna State. She is the first Legislator to have crossed states and parties and was still returned to the House of Representatives, in the history of Nigerian politics. Before joining politics, Sen. Binta Masi Garba worked for the New Nigerian Newspapers in Kaduna in the Advert and Marketing Department having earned an HND in Marketing from the then Kaduna Polytechnic. Her interest in politics was borne out of the desire to voice out opposition to injustice practiced by the management of the new Nigerian newspapers. Sen. Binta Masi Garba began her political career as a member of National Centre Party of Nigeria (NCPN), one of the five political parties during the General Sani Abacha era, but later moved to the All People Party (APP) where she contested in the 1999 election and was elected as a member of House of Representatives, representing Kaduna South Federal Constituency. Even before joining the political fray, Sen. Binta Masi Garba has always had that deep sense of commitment to empower, improve and uplift the living conditions of her people, especially the under-privileged and the disadvantaged. So when in 2007, she took the historic decision to offer herself to serve the good people of Michika/Madagali Federal Constituency, as their representative in the Federal House of Representatives, she did that with a single goal in mind: To be a worthy representative of her people and provide the much needed qualitative representation they have for years been longing for. In her three terms, she has been able to give back to her various constituencies and ensured she maintained contact with them by setting up an office and traveling regularly to her base. These are the things that speak for her. Over the years, Sen. Binta Masi Garba has been able to justify the trust in her by her people. By dint of hard work and perseverance she has gone beyond politics to focus on promoting the welfare of her constituency through concrete and verifiable initiatives and interventions in every sphere of social, economic, and cultural lives of her people. A sincere, grassroots politician, Sen. Binta Masi Garba has conscientiously deployed her efforts and energies, day-in, day- out, to ensure that within the limited resources available at her disposal, a great number of her constituents have something to smile about. Despite having her hands full of other national and international assignments, duties she discharged creditably to the admiration and commendation of her colleagues and pundits alike, Sen. Binta Masi Garba could not be distracted from the covenant she entered into with her people. She has steadily but surely embarked on initiatives that have gone a long way to improving the lot of her people, irrespective of social status, political or religious differences. It is the view of the wide spectrum of the society that Sen. Binta Masi Garba has brought to the political environment something novel, something not seen before in the area of the representation, which is “purposeful representation”. This is manifested in the manner she finds joy and honour in respecting the mandate given to her by the constituency; and more importantly, in adding value to people’s lives, by touching them at their point of need. She has to her name, quality accomplishments recorded in all directions across the spectrum of human endeavors that positively impact on the lives of the people of the constituency through a wide range of people-oriented initiatives in: Education, Healthcare, Youth Empowerment and Employment, provision of Potable Water, rural Electrification, Agriculture, Recreation and Entertainment, and humanitarian services. Sen. Binta Masi Garba has indeed, unleashed irreversible transformation across all the local governments and the wards that have made up her Constituency. In the course of her political career, Sen. Binta Masi Garba has been exposed to the socio-cultural and economic variables in the 36 States (including Abuja) of the Federal Republic of Nigeria and countries such as USA, UK, Germany, Belgium, France, Holland, Switzerland, Malaysia, Hong Kong, Taiwan, Philippine, Indonesia, India, Tunisia, Gambia, Senegal, Mexico, Benin Republic. Sen. Binta Masi Garba also attended the prestigious J. F. Kennedy School of Government, Harvard University (USA), where she took a course in Public Financial Management besides several conferences and workshops she attended all over the globe. She has held and chaired several committees while in the house amongst which include: Infrastructure Development Committee on Appropriations, Child Development, Anti- Corruption Ethics and National Value, Inter- Parliamentary relations, Committee on Women Affairs and was also the Vice President Commonwealth Women Parliamentarians (African Region) etc. She is a proven and tested public officer of high integrity with numerous awards to her name amongst which include: Dame Publication- Nigerian Women Award (Role Model), Jaycees International Young Persons Role Award, Action Aid- Outstanding Role Model (for Contribution to Girls Education in Nigeria, National Association of Nigerian Students Directorate of Gender Affairs- induction into the Gender Hall of Fame just to name a few. In recognition of her sterling leadership qualities she was recently unanimously elected as the Chairperson of the All Progressive Congress (APC), Adamawa State Chapter on the 30th day of April 2014, a position she holds until her election into the red Chamber of National Assembly of the 8th Assemblies. With this appointment she is the first female chairperson of any Political Party in Nigeria. She is currently the senator representing Adamawa North Senatorial District and the only female Senator from the northern Nigeria. 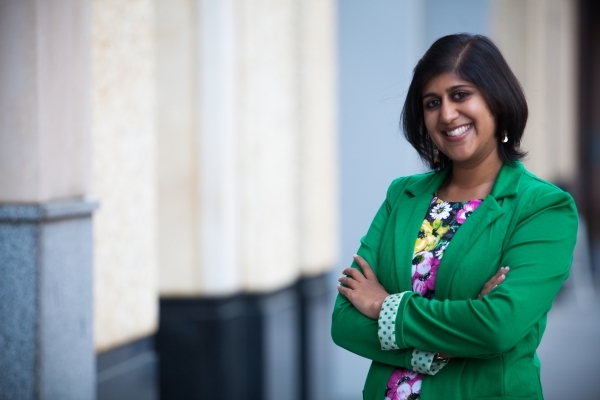 Hema is a chemical engineer by profession, and a change-maker by passion! Over and above her “day-job” as a process engineer with petrochemical giant Sasol, she grew the GirlEng division of the non-profit organisation, South African Women in Engineering (SAWomEng), aimed at developing events and programs that promote engineering as a career of choice to high potential high-school girls. She now serves as the Managing Director SAWomEng. The organisation was established to encourage high potential female maths and science students to pursue a career in engineering – a traditionally male dominated industry that is often glossed over or simply not discovered by girls. HemaVallabh literally lights up with passion, enthusiasm and an energetic desire to make a difference in the life of young girls. She encourages the girls to dare to dream, and encourage others to dream. Vallabh, who went to school in Lenasia, stumbled into the profession and her passion by chance. That is why, in addition to her belief that women can add an invaluable dimension to the industry, she’s determined to ensure that schoolgirls have the right information to enable them to make an informed decision. As such, GirlEng facilitates workshops around the country in an effort to educate girls in grades 10 to 12 about the opportunities afforded by engineering. University engineering students are enlisted and developed as mentors to provide support and real-life examples to high potential students. Vallabh, who has received hugely positive feedback on the impact of her work, has not only been invited as a motivational speaker to events that empower young women and encourage students to reach their goals, but also won an outstanding achievement award from UCT for her work at GirlEng – all this before she has even turned 30. Her passion for the work she does has resulted in a number of accolades in recognition of her leadership. These include being awarded the South Africa’s Most Influential Women in Engineering title by CEO magazine, being branded as a “Change-Maker” by Oprah Magazine, being named as one of the Top 200 Young South African’s by Mail & Guardian and being selected to attend the FORTUNE/U.S. State Department Global Women’s Mentoring Program. Furthermore, she was recently invited to attend the Young African leaders Initiative hosted by Barack Obama during his visit to South Africa, and was also invited to do a TED Talk at the TEDx Johannesburg Women event hosted in December 2013. In recognition of her passion and desire to make an impact through mentorship, she was selected as the Flag Bearer for the Vital Voices Global Mentoring Walk, bringing the event to South Africa for the first time in 2013 and subsequently hosted a second incredibly successful Mentoring Walk in celebration of Women’s Day in March 2014. This is an initiative that she is incredibly passionate about and is looking to grow under The Passionate Professional banner. However it is not these accolades that define her, but rather the impact that she has through her work.